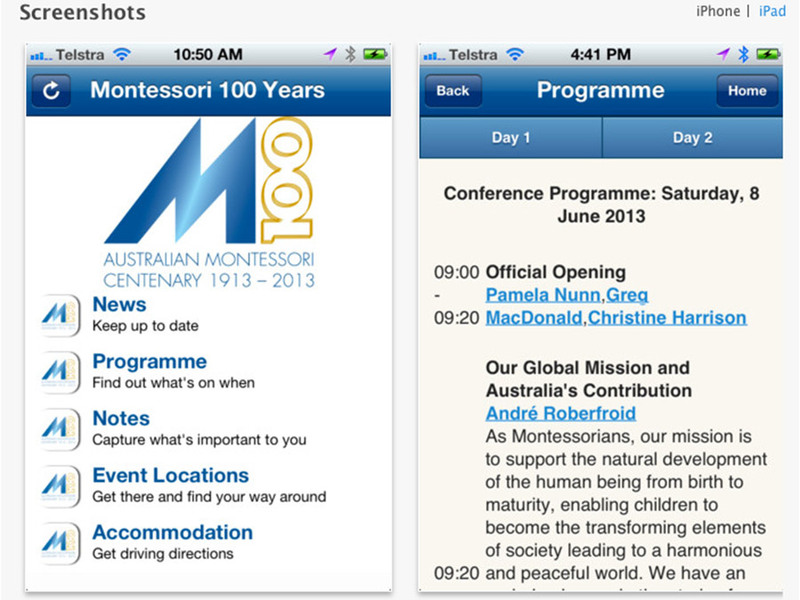 This app is for the community of the Montessori Centenary Event in 2013. It features a detailed programme of events with speaker information, push notifications of latest news, a notes function and maps of events and accommodation. Download at iTunes or Google Play.